Trying to get the kids to the breakfast table is a real challenge for busy moms, especially if they’re…ahem…a little slow to get up in the morning. So it’s a huge help to have simple breakfast ideas that you can go to quickly when you’re short on time! 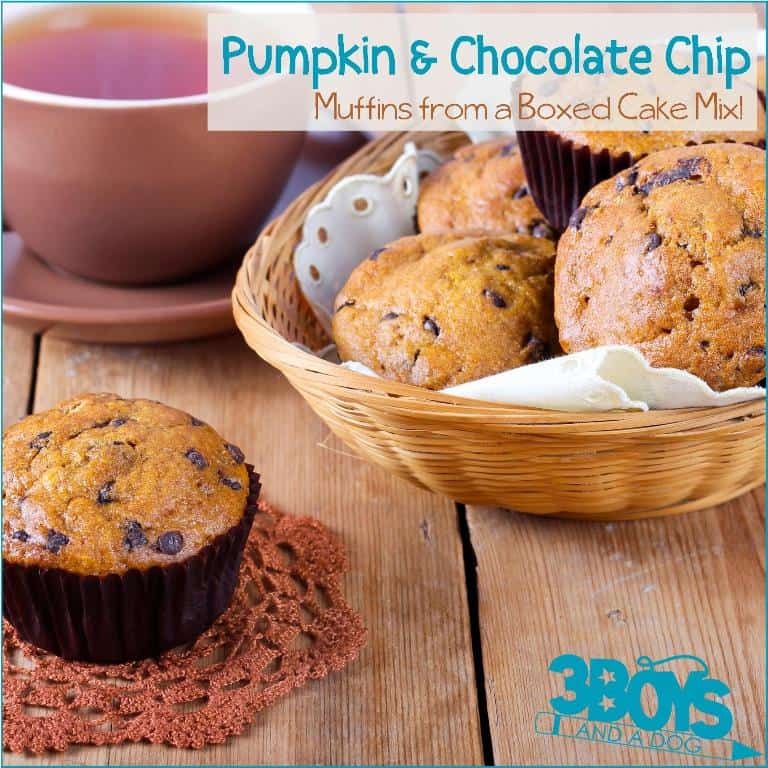 These chocolate chip pumpkin cake mix muffins are a super go-to recipe that you can bake and have ready for your hungry kids as they head out the door! Plus, they’re one of my favorite easy cake mix recipes, so they take almost no time to prep! 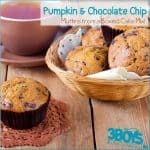 If you love these Chocolate Chip Pumpkin Cake Mix Muffins (and you will! ), try pairing them with an Easy Strawberry Smoothie or a Carrot Milkshake for an easy grab-and-go breakfast! If you’ll be staying at home for breakfast, these muffins would go wonderfully with my Asparagus and Potato Egg Bake. These muffins are also freezable, so you can thaw them and head out the door in no time! For more make-ahead breakfast ideas, try this list of Freezer-Friendly Breakfasts you can make for your family! Bake at 350° for 25 minutes or until muffins spring back when touched lightly in center. Remove muffins from pans immediately; cool on a wire rack. Can’t get enough pumpkin recipes? Try these delicious treats you can also make with pumpkin this year! These Homemade Pumpkin Spice Energy Bites are a fun way to snack healthy! Your kids will gobble up these Pumpkin Pancake Sandwiches with Chocolate Filling! Treat yourself to this creamy Pumpkin Latte you can make in your slow cooker! 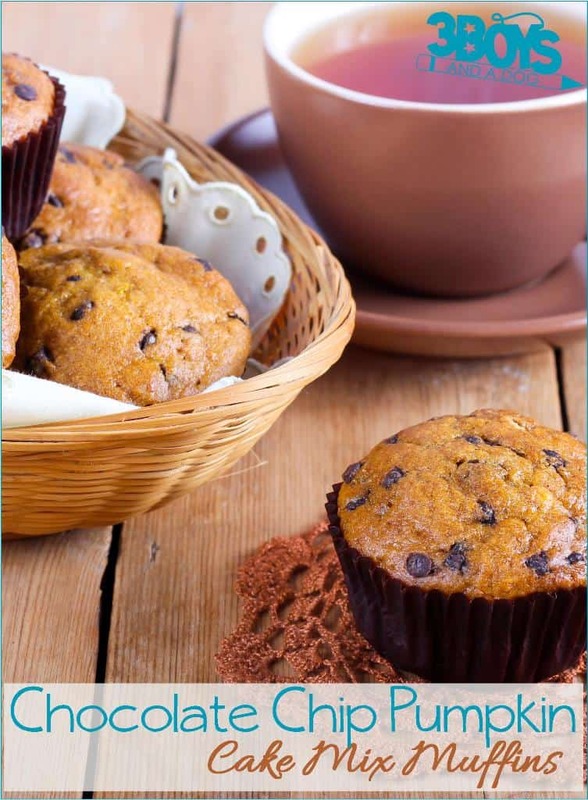 Try these great baking supplies for making these muffins yourself! Yum – I bet these are amazing right out of the oven with some melting butter…. Thanks for sharing at the What’s for Dinner party!